Sam Shepard is always watchable, of course. But for all that, Sam Shepard is a class apart, playing a James Crumley-class character in what is an adaptation of a Joe R. Lansdale novel. Before seeing the film, I took a walk down King Street; it’s startling to see how many empty shops there are. 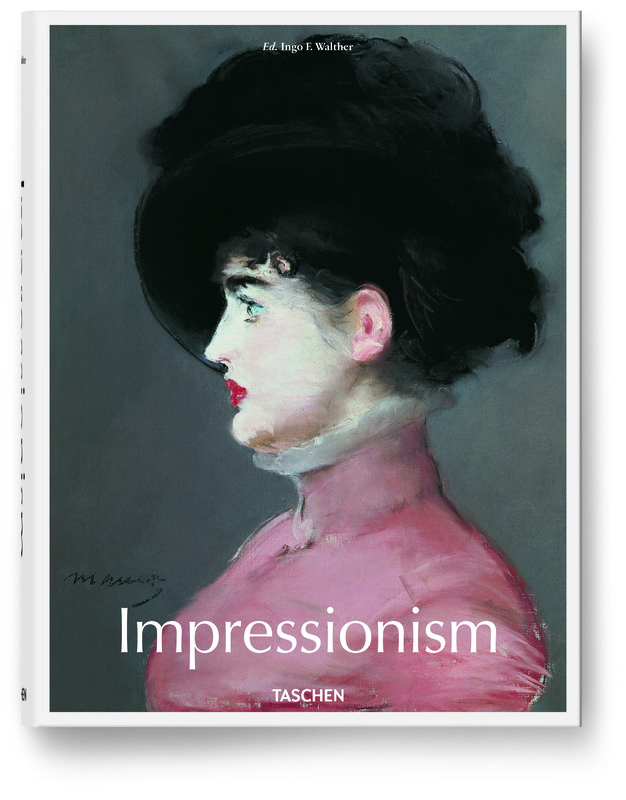 There’s a flash sale of Taschen art books later this week, for four days only. The sale lasts from 26-29 June 2014 only, with titles being significantly reduced – by half-price or better. If you’re not close to a Taschen store (the full list is here), no worries, there will be some sale books to peek at on their website here. Sales books will be added to each day of the sale, but only while stocks last. For Xavier (Romain Duris), who follows his estranged partner Wendy to New York to be with their children, life is a puzzle whose complications are insoluble. Which is not to say that his conversations with Schopenhauer and Hegel (he turns up as well) don’t help to ease his confusions somewhat. Despite the German philosophers, this is in essence a chick flick. Typically, it has a photogenic male lead, oozes surface charm and diverting incident but seriously lacks depth. It is, however, stylishly crafted and more amusing than most. I was entertained. On Erik Satie’s death, thousands of small cards were found in his room. The cards featured intricate calligraphy and drawings of grand mansions, castles, ocean liners, airships… Your mind alights on one of those airships as you recall this concert, a generous serving of Satie’s music rearranged for big band by Gary Carpenter and others. Thus it glided along, gaining height. The music was radiant, dazzling. Some shadow, a few sweet moments of melancholy. Night stars. A gay, carefree joy, as from another world. 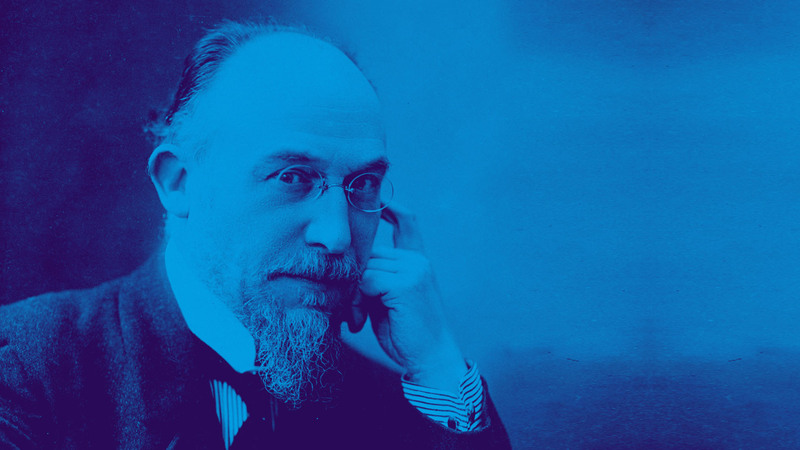 As a small indication of Satie’s idiosyncrasy and wit, or perhaps simply his inability to do things as others did, consider the performance indications that he would often give musicians. They might include ‘Dance inwardly’ or ‘Sound surprised’ or ‘Fidgety’ or even (a personal favourite) ‘Behave yourself, please: a monkey is watching you’. I don’t know what indications the band followed here, but their performances were wonderful. And Gary Carpenter, as well as arranging most of the music and directing the band, made for an affable compere, kind of a George Melly without the suit. A wonderful concert of the music of a sublime one-off. 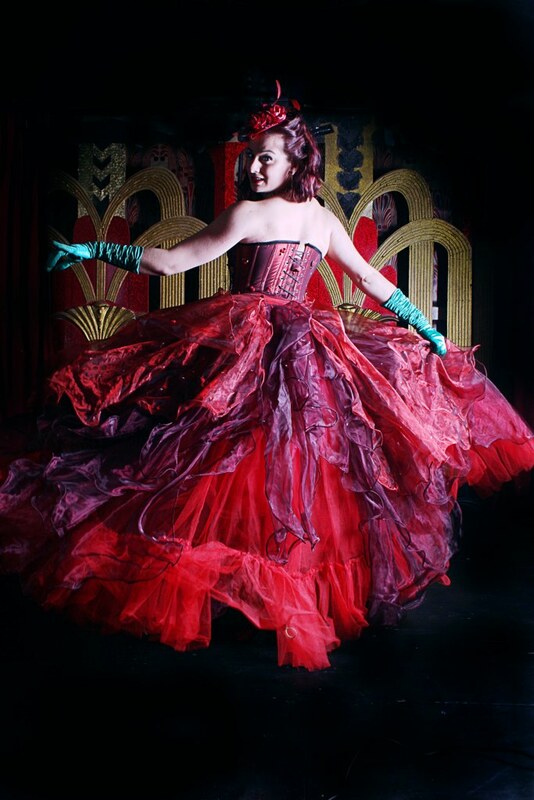 Tempest Rose (pictured above) will be giving a Folies-Bergère-inspired performance at the Courtauld Gallery in July and August. There will also be the music of the Belle Epoque; talks about the artists of Bohemian Paris, above all Toulouse-Lautrec; and an Absinthe Den for the intrepid. Further details can be found here. 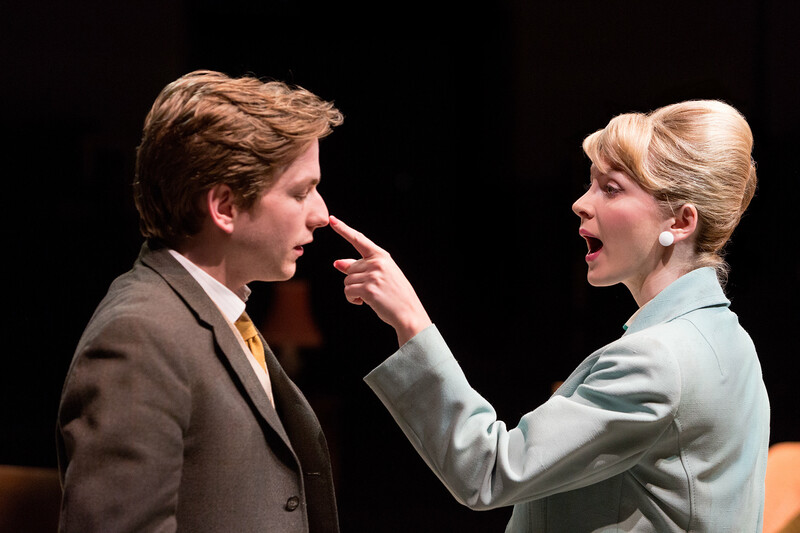 Harry McEntire as Billy Fisher and Katie Moore as Rita in BILLY LIAR (Royal Exchange Theatre until 12 July). Photo by Jonathan Keenan. A splendid production of a seminal ‘60s play, Harry McEntire giving an accomplished, nuanced performance. Another actor you couldn’t take your eyes off was Katie Moore; she played Rita, a fiery working-class girl who wasn’t about to be messed about by a philandering scalliwag like Billy. Not by a long chalk, matey. Not all the humour that is present in the novel will be found in the play, while the film – well, film generally – has a larger, more diverse canvas. The play has plenty of humour still, mind, but what it specifically offers is a closer, more forensic look at the character of Billy. And he doesn’t make especially attractive viewing, at that. He’s a skiver and a thief, he uses women, he can’t follow through on his dreams when given the chance… It is impressive, actually, that Keith Waterhouse chose to create such a warts-and-all kind of character. Curious as well that we root for Billy, despite his shortcomings. Perhaps because he is vital and the most alive of all of them. Or because we realise that, for all of his shenanigans, he is simply trying to survive in a deadly dull environment. Billy Liar is at the Royal Exchange Theatre until 12 July 2014, further details can be found here. This excellent book is in two parts. 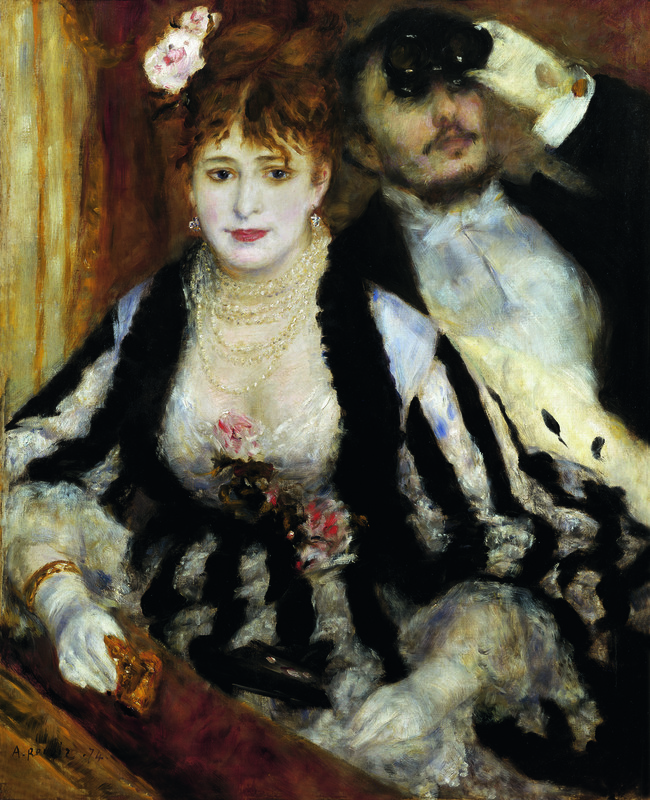 Pierre-Auguste Renoir: The Theatre Box, 1874. London, Courtauld Institute Galleries. Copyright: TASCHEN. 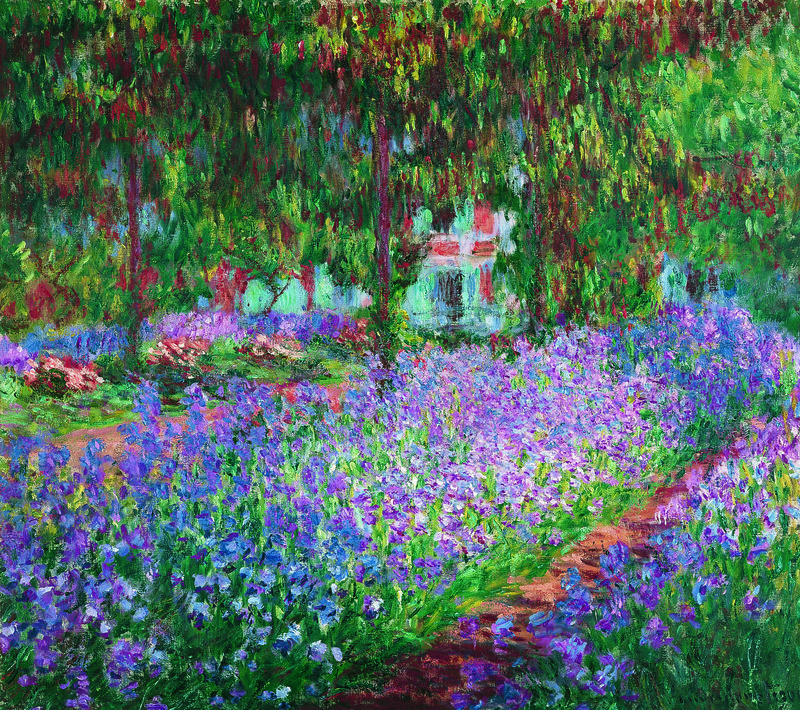 Various authors, including Feist and the editor Ingo F. Walther, contribute to part two, which looks at Impressionism in Europe and Britain, America and Canada. This offers more of an overview if not exactly a whizz-through, with many fine artists to discover (Levitan, Denis, Serov, Evenepoel, Lega…) but a few notable omissions. There are chapters on Impressionism in Germany and various central and Eastern European countries, but no chapter specifically on Austria. Curious, because many of the countries that are covered were actually part of the Austro-Hungarian Empire at the time. A (post)impressionist phase is clearly discernible in Klimt’s work (e.g. that poppy field) as well as other Austrian artists, above all Tina Blau. In fact Antonin Proust, Manet’s great champion, specifically singled out one of Blau’s paintings for praise at an exhibition in Vienna in 1882, as Julie Johnson recounts in The Memory Factory. There is another omission worth mentioning – maybe minor when the movement is considered in the round, granted – and that is Adolphe Valette. Vallette settled in Manchester and painted around about, perhaps taking his inspiration from Monet who once said (in earnest, I think, he wasn’t much of a joker) that he went to London for the fog. In Manchester Vallette found myriad miasma, but survived. He later became, incidentally, a tutor of L.S. Lowry. These two parts make up the bulk of the book and are followed by a directory, compiled by Walther, of those who have influenced or contributed to Impressionism in some way. This consists, in the main, of biographical sketches and career summaries of the artists and of writers, patrons and others. 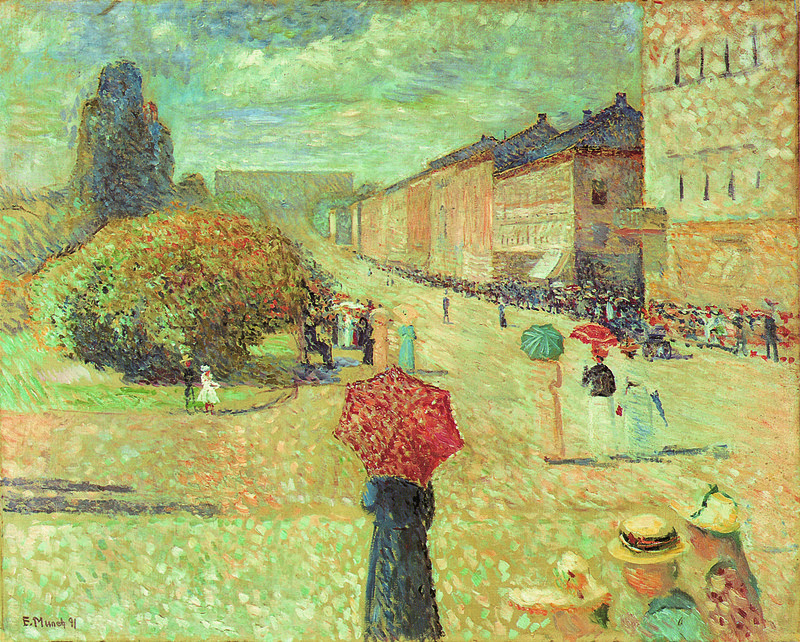 Edvard Munch: Spring on Karl Johan, 1891. Bergen, Bergen Billedgalleriet. Copyright: The Munch Museum/The Munch Ellingsen Group/ VG Bild-Kunst, Bonn. Artists like Munch had to meet Impressionism to move beyond it; it was a game-changer, in that sense. Rather extreme and more difficult to defend is Virginia Woolf’s claim that ‘in or about December 1910 [the date of a postimpressionist exhibition in London], human nature changed.’ She might be going a bit too far there. There is a selection of Vallette’s paintings at Manchester Art Gallery, as well as a smattering of other Impressionist works, but in Britain the best galleries for Impressionism remain the National Gallery and especially the Courtauld Gallery, which has a number of fine Cezannes. 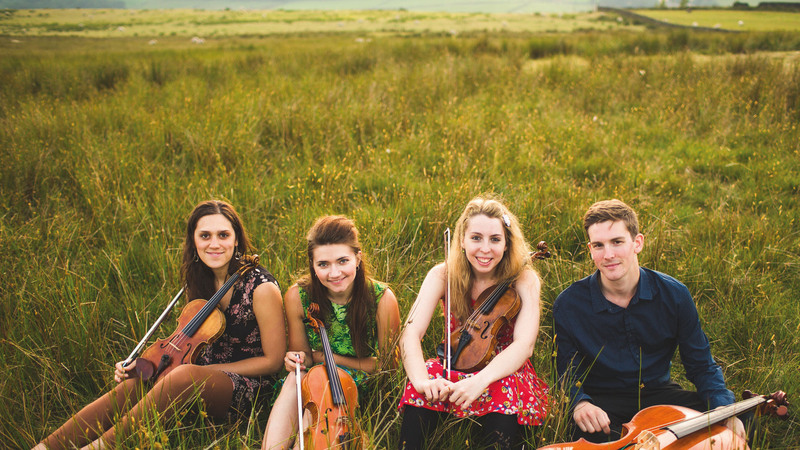 Another superb concert by a quartet of musicians who are becoming tangibly more accomplished and impressive, each time they are heard. This evening featured quartets by Beethoven, Bartok and Brahms, the overriding theme being love unrequited and (in Brahm’s case only) fulfilled. It was interesting to learn that Bartok had an antipathy toward the Viennese. Kafka too, one discovers on reading Reiner Stach’s biography, was loath to visit the imperial capital. This is a curious film, set amid a mountainous community where everyone spies on everyone else through binoculars and where all own and ride horses. Some are tame, others wild. They are at times mistreated, put to the test, found wanting. It is as though the horse were a metaphor for a Primal Something: Eros, the Holy Spirit, a Life Force of some description. Sadly one fellow, after swimming out with his horse to a Russian ship, dies through drinking undiluted vodka, an avoidable fate. He never learned to mix his drinks, poor chap. For example, Zubrowka (a Polish beverage whose ready availability amply justifies Britain’s membership of the EU) with apple juice is much more pleasant than Zubrowka drunk on its own. With juice added, it tastes very much like apple strudel. Back to the film: I found it to be a perplexing affair, though certainly intriguing in parts. My general conclusion: if Iceland had trains, horses wouldn’t be such a big deal. The novel takes an oblique look at the Algerian War, a conflict that raged from 1954 until 1962, ending only when De Gaulle finally granted the troubled colony its independence. Anselme’s approach is to dig deep into the attitudes and motivations of three soldiers who are home on leave, let loose in Paris for a week or two. He shows us the distance between civilians safely ensconced at home and combatants who are fighting an unpopular war – a situation we have since come to know only too well. For sure, there is no sanctuary: these three guys may as well be ghosts, they’re on their own. Adrift from lovers, friends and family. To my mind, the best thing in the novel is the description of a long, chaotic night on the town, with Paris – a city which Anselme knew and loved well – acting as a salve on the soldiers’ despondency and displacement. Sad to say, the novel – originally published in 1957, the same year that Algeria’s son Albert Camus won the Nobel Prize for Literature – was one of the few works of fiction that Daniel Anselme (1927-1984) wrote. His efforts were mostly devoted to journalism. The translation reads smoothly and beautifully, which is hardly a surprise; it’s by David Bellos.